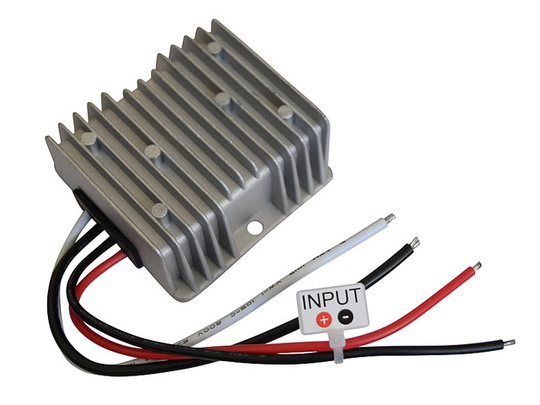 This voltage converter unit allows a 18-35V DC power source to be regulated down to 12V DC in order to power devices (such as linear actuators) with a 12V rating. The converter may sustain an output current of up to 20 Amps, sufficient to drive up to four of our GLA200 or GLA750 model actuators in parallel (simultaneously) or alternatively two of our larger GLA4000-S model actuators. Sustained currents (beyond 3 minutes continuously) should be 15A or less to avoid overheating. 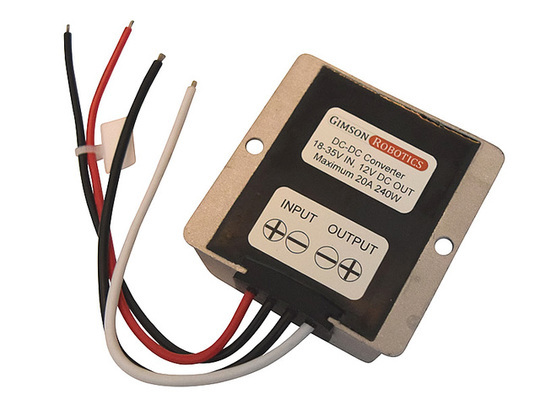 Each device has four leads, two for connecting to a DC input voltage (which are labelled with the tag 'INPUT') and two providing the 12V DC output. You must ensure that the input polarity is connected in the correct orientation, with positive going to the red lead and negative to the black lead. The ends of the leads are tinned, ready to be attached through soldering or screw terminals. 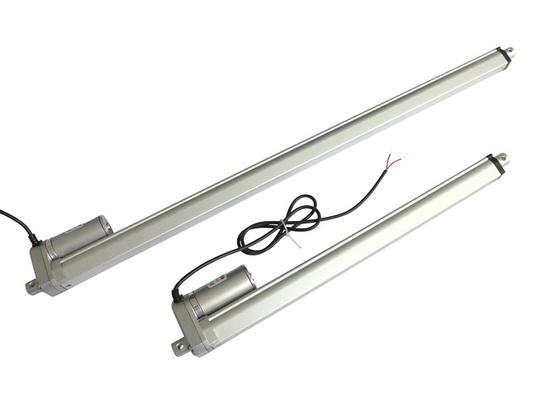 If operating sustained loads (continuous current upwards of 5A) you should mount the device in an area with free flowing air so that there is sufficient cooling. Continue to the technical details tab for more specifications.